Smoking is one of the most cited reason for illness and avoidable deaths, yet people continue to puff away, ignoring the danger in favor of the addiction. It’s hard to imagine anyone is unaware of the danger, but they say it’s as hard to quit smoking as it is to get off a heroin addiction. 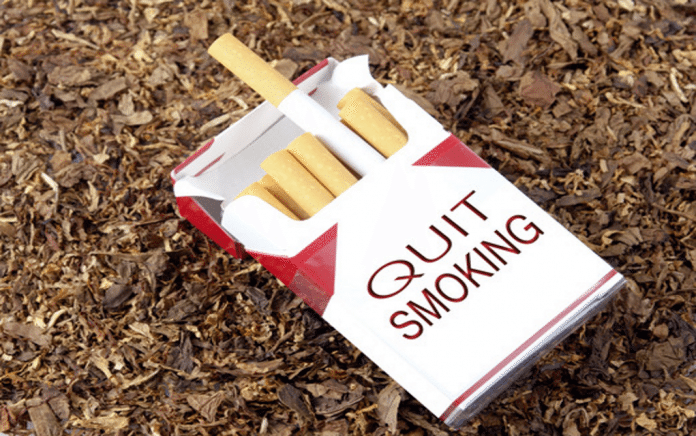 This is not an indictment of smokers, but a few more reasons you can consider when deciding if it’s time to quit. Death notwithstanding, a look at some of the other drawbacks that give good reason to quit smoking. 5 – Your clothes stink! You have become immune to it, but never doubt that people can smell the smoke on you the minute you come inside. Smokers learned to accept being shunned to an outdoor smoking area, but what they don’t realize is they walk back into work or other situations reeking of smoke. Just because you can’t smell it anymore doesn’t mean it isn’t strong and offensive to your non-smoking colleagues. You can pop a mint, but the smoke clings to your clothing and the smell (or stink depending on your position) permeates the area around you. 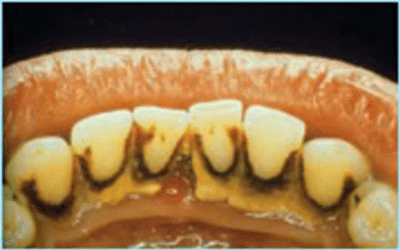 While there’s no denying that smoking yellows your teeth, it can also cause serious medical conditions in your mouth. In addition to the predicable mouth cancer, the smoke can cause your teeth to deterriorate no matter how much you brush and floss. Think of it like a smoked ham; the smoke eventually seeps into the teeth and breaks down the composition. So this one can end anywhere from an unattractive smile to complete loss of your chompers. In all, there are more than 7,000 chemicals in the average cigarette. If you think it’s just tobacco, think again. The tobacco companies want to make sure they have repeat customers, so on top of all the other disgusting things you wouldn’t otherwise put in your body, they add extra nicotine, which is highly addictive. 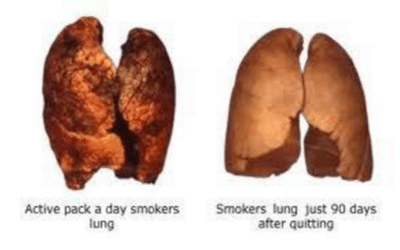 Once you quit, your lungs will actually begin to heal. Of course it takes time; depends on how long you’ve been smoking, and how much you smoked, but the body DOES heal itself given the chance. A smoker’s lungs can be on the way to good health in as little as 90 days, giving you more energy, stamina, and better overall health. U.S. Department of Health and Human Services determined that smoking can actually change your brain chemistry. Nicotine makes demands that you just can’t ignore, and your brain craves it once introduced. Like every other addiction, the chemicals start to influence your decisions in everyday life, causing you to choose cigarettes over more healthy lifestyles. So while your co-workers are enjoying a birthday or anniversary celebration, you take that time to go out in the cold (or extreme heat) to poison yourself. Get off the cigarettes and you can stay comfortable and enjoy the celebration when you get that break from work. If you’re thinking about quitting, these items could give you a psychological boost. Looking forward to Most doctors offer smoking cessation programs, and there are resources to help such as Smokefree.gov and www.lung.org/stop-smoking.